Whether backyard birding or seeking waterfowl, forest birds, Bald Eagles and neotropical migrants along the mighty Mississippi river and its floodplain; embarking on a serious birding trip to top hotspots to set your sites on the colorful variety of warblers, orioles, grosbeaks and buntings that migrate through or nest in the region; identifying your garden birds; or on a quick business trip to Kansas City, St. Louis, Jefferson City, and points between, you’ll be glad to have this booklet, which includes more than 125 species. Natural Encounters is devoted to bringing you to the best the birds of the world have to offer. 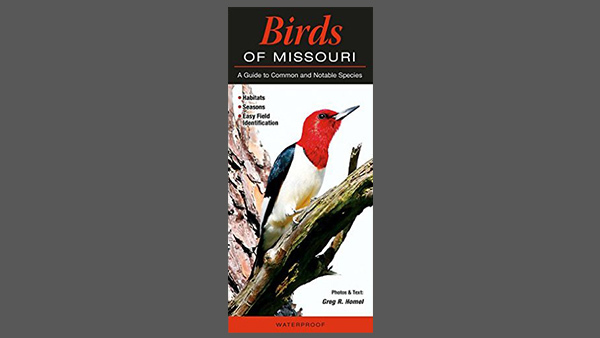 ornithologist and naturalist Greg R. Homel can get you there–and get the birds into your sights.